Securities offered through LPL Financial, member FINRA & SIPC. Investment advice offered through Independent Financial Partners (IFP), a Registered Investment Advisor. 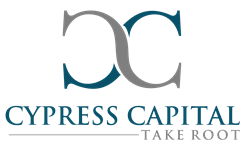 Cypress Capital and IFP are not owned or controlled by LPL Financial.